The Domestic Electrical Installer Course does exactly what it says it does. The aim of this course is to allow aspiring electricians to get their foot in the door. 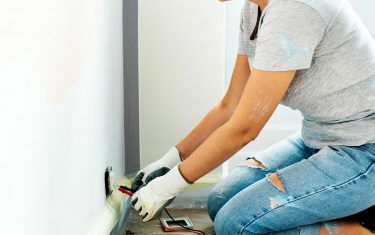 This course does exactly that by enabling them to become an electrician in a domestic, i.e. household, environment. Please be aware that this course will not cover the full range of topics that would be covered in courses such as an NVQ3. However, courses such as this would cover a wider range of scenarios. These scenarios would mainly be only found in industrial environments. One thing that ECTA is absolutely passionate about is passing on the knowledge, not just having you pass the exam. It is unlikely that you will learn everything you need to know throughout your career throughout a simple course. However, we aim to provide you with the necessary skills and knowledge to send you off into your career. From there, the real learning is your experience as a professional! As we say to every student who takes this course, this is the first step to your career as an electrician, but it most certainly is not the last. The next steps that you should aim for after this is to gain experience. Put your foot in the door and work alongside an experienced professional as an assistant or something similar. This will provide you with on-site experience and put your knowledge from the course into the real world. We hope that this question has made things a lot clearer for you. Would you like to learn more about the courses that are available at ECTA? If so, please do not hesitate to get in touch. We are here to answer all of your queries regarding the courses you can take and what your next steps could be afterwards. 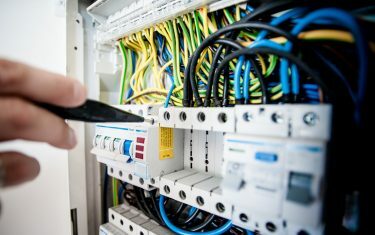 We offer a wide range of courses from electrical to gas and water. We have even recently added the 18th Edition Course to help electricians continue to stay up-to-date on their skills and knowledge!